Okay, so my motivation might not have been entirely pure when I popped by Whistler’s Weasel House after the downhill event yesterday to interview members of the Blue Army about their epic efforts to fight back the weather and prepare the race courses for the alpine Olympic events. After all, there was free beer on hand. 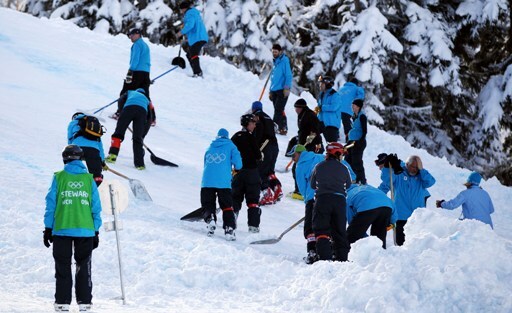 But while gold medalist Didier Defago was being crowned, a crew of unsung heroes were heading out to battle 20cm of new snow, in an effort to prepare the course for the women’s downhill on Wednesday. Abnormal, maybe. Awesome, most definitely. Check out the action in this NBCOlympics.com slideshow.